Best 10 Hostels to Stay while in Paris. Top Exciting Must Go Places in Amsterdam. Have you ever thinked about what Londoners do during the colder days? Of course they wouldn’t stay at home and eat hot soup plus enjoying heater warmth. There are usually many fascinating and exciting things on streets in London like street food. Therefore let’s discover the London’s exciting street cuisine you should taste as listed below. These are one of the most expensive street foods in London costing about two pounds for one bag of chestnuts. However, it is worth spending money because you will enjoy the hot chestnuts in the cold weather providing some warmth. It is an exciting experience to be part of. This is round and thin, they are usually put together to make a thick cake. There are two types of Crepe cakes in Europe including sweet cake and salty cake. With sweet Crepe cake you can add fruit, cream, syrup and chocolate for better enjoyment while Salty Crepe cake has cheese and bacon inside. Gelato is made from milk cream, various sugars, and flavoring such as fresh fruit and nut purees. However, it is generally lower in calories, fat and sugar than ice cream. Tasting on Gelato is really very sweet. You will find it very difficult to eat ice cream in the cold weather but it is an interesting experience that you should try at least one time in your life time. Fish and Chips is an exciting cuisine to test while in England. Fish and Chips are really popular and more liked in London. You can find it almost in every restaurant in London, do not miss out on a taste while in London mostly if you have never tasted on it. 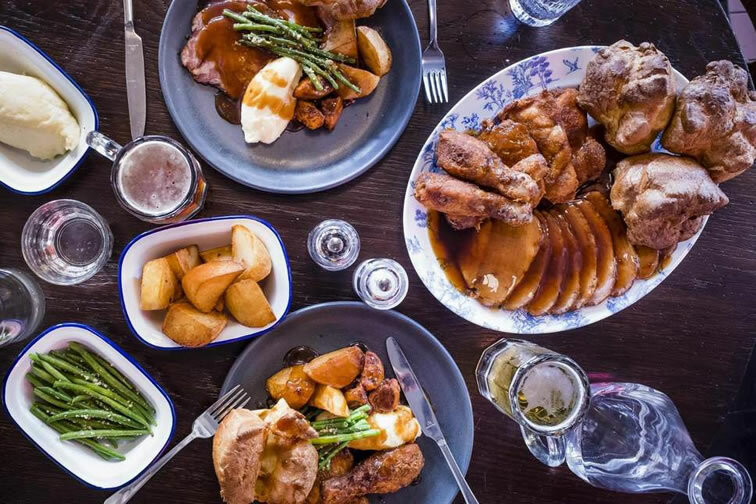 Do not miss out to taste on those above listed exciting cuisines in London during the winter season, it’s a great experience to be part of since these cuisines are usually provided on streets during the colder days. Travel by Train around Amazing Europe. We at Europe travel guide provide you with Europe travel information – all that you need about hotels; hang out spots, night life, popular restaurants, shopping centers, sightseeing information, taxi rentals, places of attraction, weather information and lots more. A preplanned trip provides the most of joy and pleasure.